During the process of designing lightweight CFRP structures, one usually needs access to allowable values. However, allowables generation is particularly costly and time-consuming. Each characterized material system must cover various layups, coupon tests, and environment conditions. Each test configuration must be repeated many times to obtain a statistical evaluation of the mechanical property. With advanced multiscale simulation, virtual allowables can be predicted. 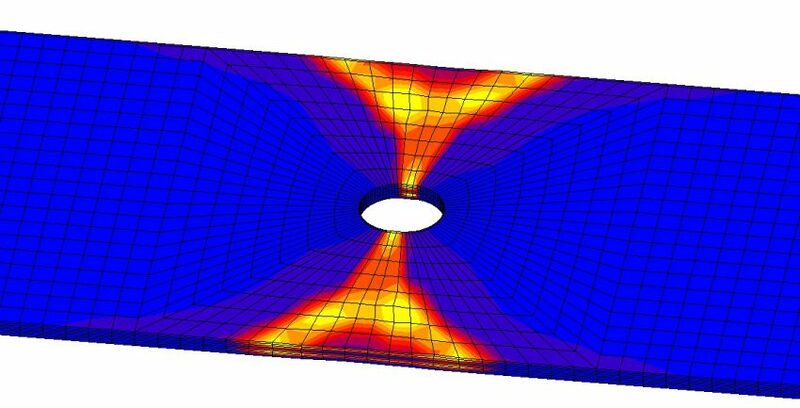 Through combining some analysis and methods such as mean-field homogenization, progressive failure, nonlinear FEA analysis and stochastic methods, allowables become accessible at a fraction of the typical cost and time. Material models are calibrated based on standard ply level stiffness and strength data, therefore requiring minimal user input. An efficient solution can empower engineers to virtually compare materials before going into the lengthy physical allowables and avoid costly physical testing process. Our case study from the National Institute for Aviation Research explores how virtual allowables helped engineers predict values within a 10% error with typical run times of just three minutes.